We often think of the internet as ubiquitous but pervasive connectivity shouldn’t be taken for granted. Even in Canada, some people living in rural communities still struggle with connectivity, even when broadband internet may be available in nearby towns or cities. The challenge often comes down to the cost of infrastructure to provide high-speed connectivity to these areas. Without the internet these homes and communities are left at a disadvantage. The Region of Waterloo Library (RWL) understands the challenges of rural connectivity well. Comprised of 10 locations in the townships of North Dumfries, Wilmot, Wellesley and Woolwich, many of the library’s patrons face these connectivity challenges every day, often having little or no affordable means to use broadband internet connections at home. Being situated so close to one of Canada’s most prominent technology centres in the cities of Waterloo, Kitchener and Cambridge only highlights the current disparity between many of the urban and rural communities. Heather Woodley, supervisor of technical services for Region of Waterloo Library, said technology is a huge part of library services today, but the challenge in rural areas is making those resources available for patrons to access at home. The Region of Waterloo Library not only provides lending services for books, DVDs, CDs and physical materials, but like many other libraries they provide a wide variety of electronic material such as research databases, ebooks and eAudiobooks. RWL also offers downloadable and streaming video and music. Patrons without access to internet at home can access the library resources through public workstations and Wi-Fi at the 10 library locations as well as at four pop-up locations, which help to bring library services to patrons that may not otherwise be able to get to a physical location. “Our mission is to bring library service to as many people as possible,” Woodley said. Spurred by the desire to get its resources to as many people in the community as possible, the library team had discussed lending mobile internet hotspots to patrons. These modems would connect to the internet through cellular data carriers and could facilitate internet access in rural and remote areas where broadband physical connections are unavailable. Under the program, patrons would be able to check out a modem for up to one week, providing them unfiltered access to the internet and allowing them to access library resources from their home. Although similar programs had been implemented in nearby libraries, the cost of the modems meant it was more of a long-term goal, until CDW Canada came on board. Nathan Bean, supervisor of infrastructure and security at the Region of Waterloo, and a team of technology specialists, manage much of the back-end technical infrastructure for the region. This includes WREPNet, a massive fibre-optic network with a total of 80 connected sites. Services from water treatment to public health are all connected using this backbone. “We have a large area of service throughout the community where connectivity is key to being able to offer services at different sites,” Bean said, adding that in areas where physical connections are not possible, the region uses modems from Cradlepoint. For example, the team has used the hotspots to power a public Wi-Fi trial with local transit, lighting up local buses so transit users can access the internet. They also use Cradlepoint devices to help provide maintenance and diagnostic information from the region’s fleet of vehicles, and in other situations, such as allowing paramedics to sync patient information directly from ambulances rather than returning to a base station. Bean said there are approximately 110 Cradlepoint devices deployed around the region in various capacities, including the four Region of Waterloo Library pop-up locations offered to residents. In these pop-up locations, the mobile hotspots are deployed to allow library staff to access essential services such as the central catalogue, while also providing public Wi-Fi for patrons. The Loan the Internet program was brought to Bean’s attention through a working group of internal IT team members. After looking closely at the requirements, Bean and his team knew the Cradlepoint devices, which they were so familiar with, could be used to power the project…but the funding to purchase enough hotspots was out of reach. 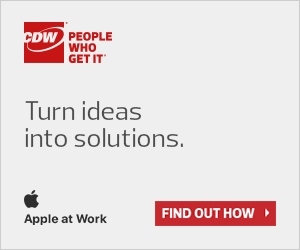 Having worked together on many previous technology implementations, including a recent security solution and previous Cradlepoint installations, Bean knew CDW Canada were strong advocates for the region and also understood their technology roadmap. As part of ongoing discussions and collaboration, Bean discussed the Loan the Internet project with CDW Canada. CDW Canada was heavily involved in the region’s previous work with Cradlepoint, having worked to get the region’s IT team resources, such as access to Cradlepoint experts. 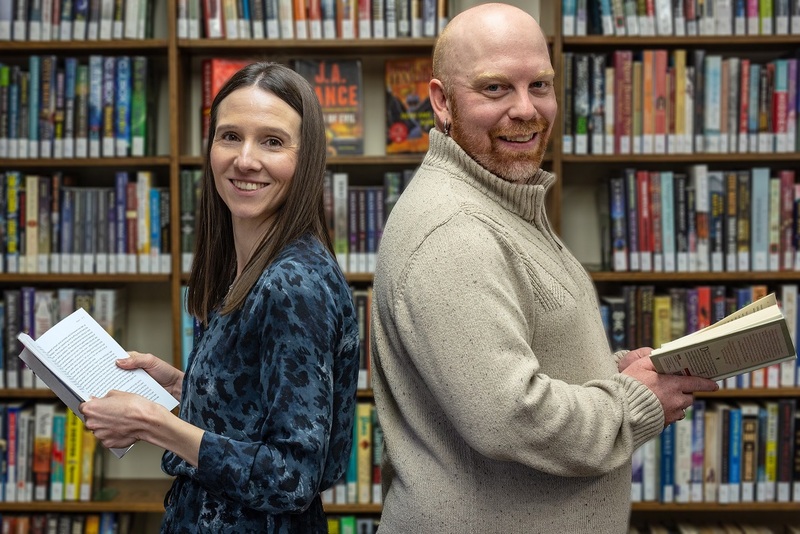 With a history of working together, the biggest barrier to the program was soon overcome; CDW Canada would provide Waterloo Region Libraries with 20 Cradlepoint devices at no additional cost. The program, which begins in October 2018, will allow the 20 mobile hotspots (two per location) to be checked out by library patrons. Woodley said it is an example of how the library is changing the community in different ways. The simplicity of the Cradlepoint devices means patrons will not need training before bringing the internet home with them. “They’re pretty much plug-and-play,” Woodley described. But that doesn’t mean they lack features. The library team will have access to certain management features, such as the ability to remotely wipe the devices should they ever be lost. With the launch of the Loan the Internet program imminent, Bean is already looking to CDW Canada as a long-term technology partner. The IT solution provider’s assistance with this project definitely solidified the relationship, Bean said. SMISHING & GREYWARE: Come again?